Mike Grim’s Truck Wreck Specialists was incorporated in 1985. However, the company originated from a sole-proprietorship started in 1972 by Mike Grim. The company is located at its current location since 1993. 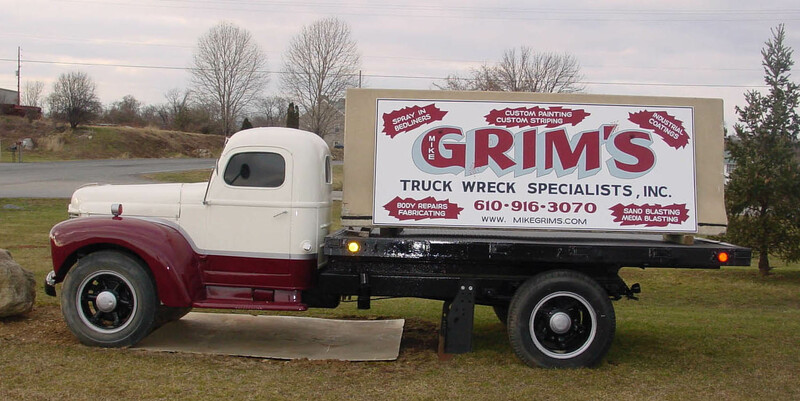 Mike Grim's provides quality body repairs and refinishing on heavy and light-duty trucks and trailers. We satisfy customers in all of Pennsylvania and other regions throughout the United States. Our current facility provides the best for our customers and is environmentally safe now and for the future. We strive to satisfy our customers’ needs by doing small as well as large jobs, from pick-up trucks to heavy-duty equipment.